Up & Up Dryer Sheets only $0.36 per Box w/ Coupon! 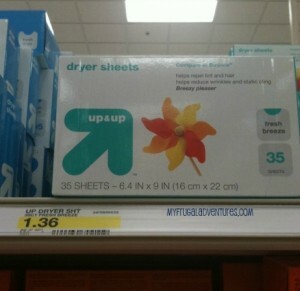 You can get an awesome brand on Target's Up & Up brand dryer sheets! NOTE: Prices may vary at your store, but it can't be much more than the price that's listed! Big thanks to My Frugal Adventures for deal and photo!